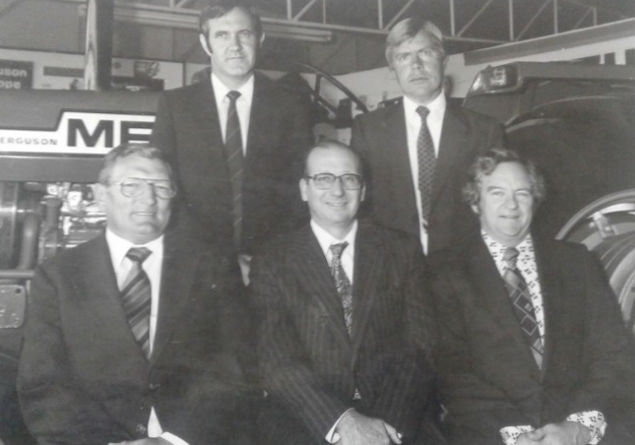 Mike Griffith passed away peacefully on Friday, 9 November 2018, aged 85, after a rich life. He was surrounded by love and care. At the end Mike was surrounded with care and love: his wife, Carole; his nurse, Miriam; Carole’s generous friend, Tonya who left her home and business to help; and his daughter, Laurel who had come from New Zealand. A touching item was when father and daughter sang Mike’s favourite song Oh Holy Night! to Michele in Grahamstown. 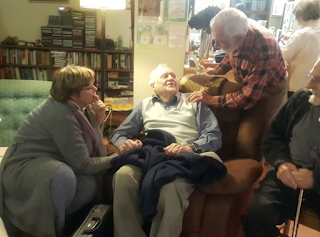 During the last few months, many Hogsbackians visited to help and encourage Mike and Carole as Mike became more frail. Mike was a gentle man. Like so many who eventually lived at Hogsback, he would bring his family for picnics and then in 1980 he bought the property as a family holiday home. It was meant to be a refuge and he was happy never to leave. Appropriately, he named his home Tanquility. Mike has three children: Michele who lives in Grahamstown; Laurel in Wellington, New Zealand; and Gary, an Anglican priest, in New Zealand. Mike has six grandchildren, one in China teaching English, and the others are all in New Zealand. Mike and Carole at their home. They had met in East London when their children were young and later, in 2013, they married in St Patrick’s. The remarkable groom was 80 at the time and had a smile on his face every day! Although he was born in Johannesburg, Mike spent most of his career in East London. From his school days he was a leader. He had that air of confidence that creates respect from others. His leadership was crowned by being elected by his fellows as the Custodian of the Key and then selected by the staff as Head Prefect of Selborne College. His peers recognised this leadership role throughout his life. He had a beautiful tenor voice and would sing in church as a chorister. 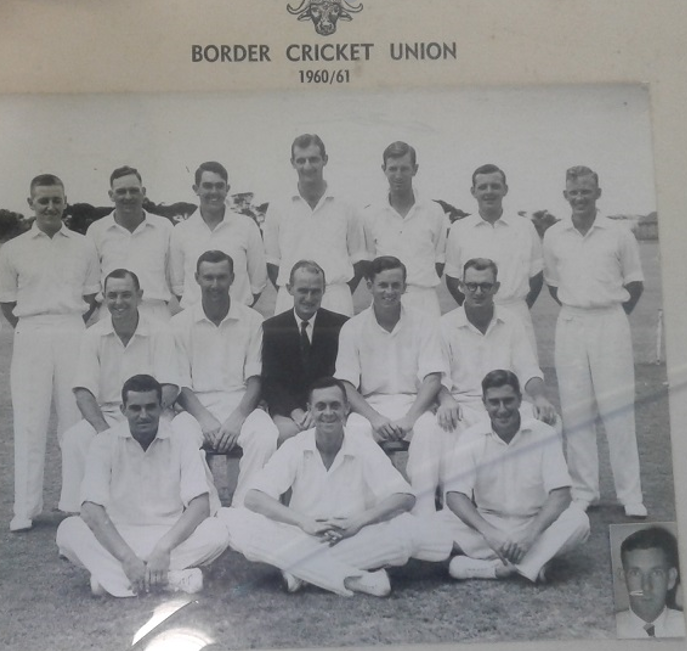 He was an outstanding sportsman representing the school in three team sports and was captain of two of them. He was Sportsman of the Year at Selborne College in 1952 and was selected as the opening bat in the South African schools XI. He worked for the Weir Group and became MD of the Agriculture Group. To show his enterprise, he volunteered to go to Dordrecht even though it is an Afrikaans region and his Afrikaans was not strong. Not only did he learn to speak Afrikaans, but he stayed for three years and during that time he scored the highest turn-over ever. Mike was a faithful Christian. He was a lay minister and conducted services in neighbouring towns. He was in demand to conduct weddings. He was a loyal member of the St Patrick’s Chapel and was elected to the Council, a position he held for over a decade. Another major contribution of his, together with his friend, Neil Cooper, was to conduct the Christmas and Easter Arboretum services in the forest. Mike was kind. Mike’s life has been one of service to his community. He has lived in Hogsback for many years during which time he has made a huge impact. As a businessman he ran the shop for a while but unfortunately had a huge setback when the business did not succeed. It says a lot for his tenacity that he bounced back. Of recent years he has been an estate agent where many Hogsback residents will attest to his kindness in ensuring that they were looked after. Many of the house sales in Hogsback, have his imprint on them. 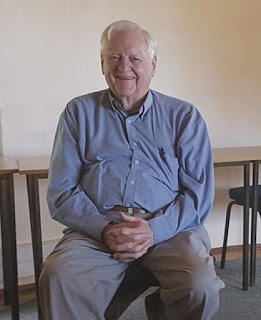 He was Chairman of the Hobbiton-on-Hogsback Association and spent many years on the Community Police Forum to ensure security for the Hogsback community. One of the most special aspects of his life is how he has gone out of his way to help the needy with some amazing accomplishments. 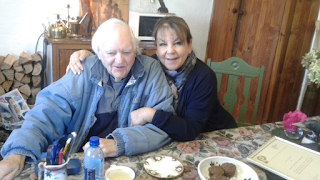 On one occasion he heard a young primary school child, Sipho, sing in the kitchen of the Lighthouse Steak Ranch (previously called The Enchanted Tree House restaurant) where Mike was eating. He asked to speak to the boy and suggested they sing ‘Silent Night’ together, as it was Christmas time. Together the two sang ‘Silent Night’ to the delight of the other patrons. Mike managed to get Sipho to sing in the chapel during the Carol Service where he wowed the congregation and a visitor offered to sponsor him to go to the Drakensberg Choir that year! Mike managed to get him accepted and Sipho was able to experience the highest level of voice training and education for a year. Earlier, he was able to help another disadvantaged child from Hogsback, Luke, to be adopted, and after 13 years is now at Bishop’s in Cape Town. Mike has enriched many particularly showing compassion when conducting weddings; helping the needy and even selling houses. You have enriched our lives and the community. We shall miss you, Mike.